Maxwell has set up a special company division dedicated specifically to the manufacture of deck accessories for superyachts riggings. Maxwell Marine, as this new division is called, produces anchor winches designed, on request, in custom versions to satisfy particular owner requirements or to fit in with particular deck layouts. The excellent quality of Maxwell products and continual requests from shipyards and owners have encouraged the company to extend distribution of its products around the world. It has set up three principal outlets in the areas of major interest, New Zealand, the United States and Australia. As far as the anchor winches are concerned, Maxwell Marine offers a complete series of vertical models, available in DC, AC and hydraulic versions. The SY26 model combines modern, compact design with high reliability. The DC version is available only for chains up to 16 mm. Thanks to the modular design, installation is simple, with perfect gear alignment and safe, reliable operation under all conditions. 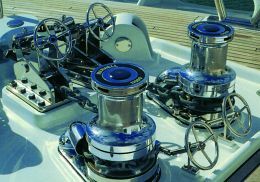 The parts of the SY26 model that are on the deck's exterior are made of stainless steel or bronze, thus ensuring appropriate corrosion resistance. Another model in the series of vertical anchor winches is the VWC11000, which is equipped with band brakes, thus guaranteeing safety during anchor handling. The VWC and VWCLP models are available with both integrated and separate chain pipes, meaning that they can be installed on all decks. Here, too, reliability is ensured by Maxwell Marine's painstaking manufacture and careful selection of appropriate materials. All parts installed below the deck (the motor, valves and gearbox) are covered with a double layer of varnish resistant to the particular conditions of the marine environment. The quality of Maxwell Marine products is appreciated the world over. Their anchor winches have been installed on famous boats such as the "Pershing 88", Wesport and Horizon superyachts, the "M/Y Turmoil", the historic sailing vessel "Shenandoah" and the 174' "Salperton" by Alloy Yachts. For further information: Maxwell Marine Ltd, PO Box 100-703, NSMC Auckland, New Zealand; Tel. : +64 9 477 0900; Fax: +64 9 476 0555; Maxwell Marine Inc., 2907 South Croddy Way, Santa Ana, California 92704-6302, USA; Tel. : +1 714 689 2900: Fax: +1 714 689 2910; Maxwell Marine Australia, PO Box 1292, Capalaba, 4157 Queensland, Australia; Tel. 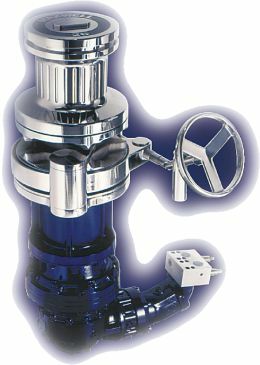 : +61 7 3245 4755; Fax: +61 7 3245 5906; Website: www.maxwellmarine.com; E-mail: windlasses@maxwellmarine.com .